Active@ KillDisk for Mac is an easy-to use & compact freeware utility that allows to sanitize attached media storage with the One Pass Zeros data sanitizing standard. 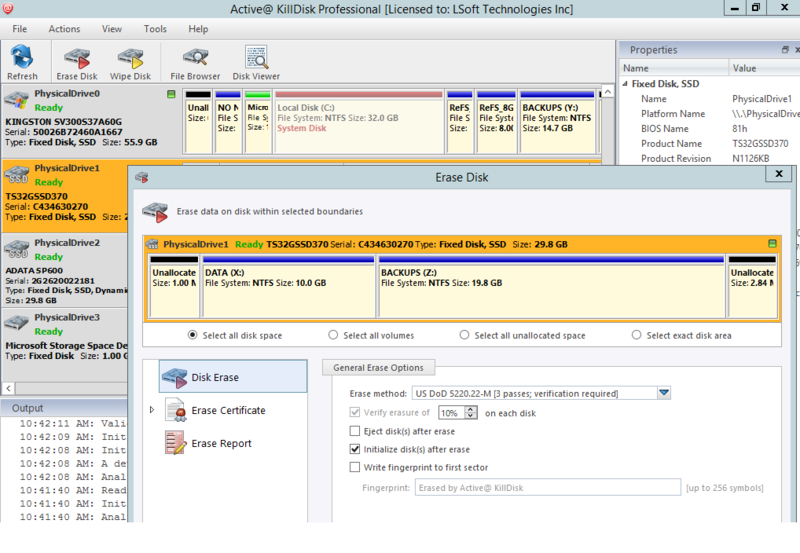 It permanently erases all data on Hard Disks, Solid State Drives, Memory Cards & USB drives, SCSI storage & RAID disk arrays. Freeware version installation package (dmg) includes executable, being able to run on iMac, MacBook & Mac Pro family and erase all attached disks except the system disk with One Pass Zeros data sanitizing standard. Professional version installation package (dmg) includes executable, being able to run on iMac, MacBook & Mac Pro family. 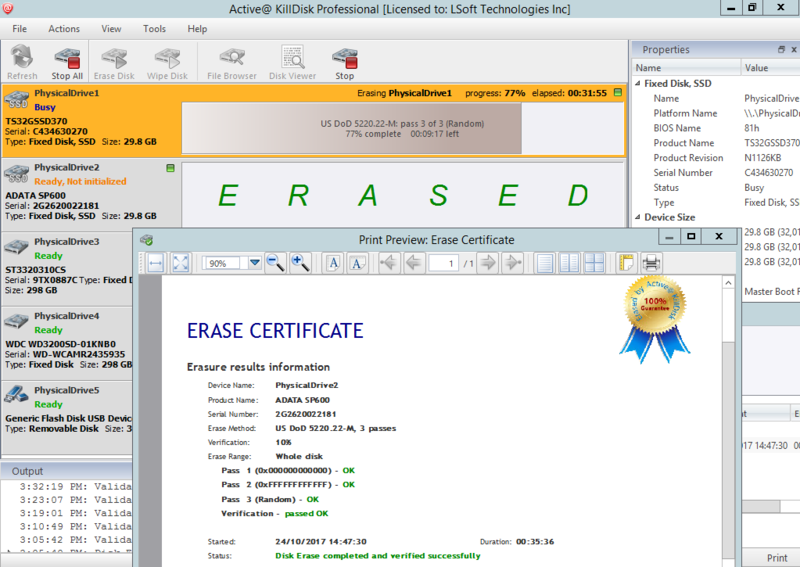 After registration it erases all attached disks with 24 international data sanitizing standards including US DoD 5220.22-M and allows parallel erases.